When the Junior Braves of Roseland, Washington, a diverse, Boy Scout-like group of preteens and teens, get back from a weeklong wilderness camping trip, they expect to return to video games, caring parents, and relatively easy suburban lives. 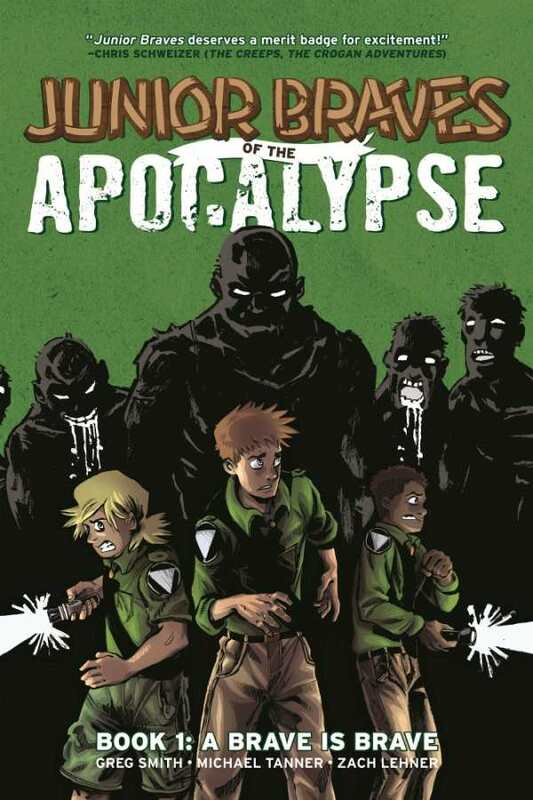 They don’t expect to return to find the zombie apocalypse has taken over their town. It’ll take all of their courage, resourcefulness, and Junior Brave knowledge to escape the clutches of undead monsters and track down their missing parents. This thrilling adventure will keep readers biting their nails on the edge of their seats, while the black, white, and green tricolor illustrations evocatively portray what sure seems to be the end times.